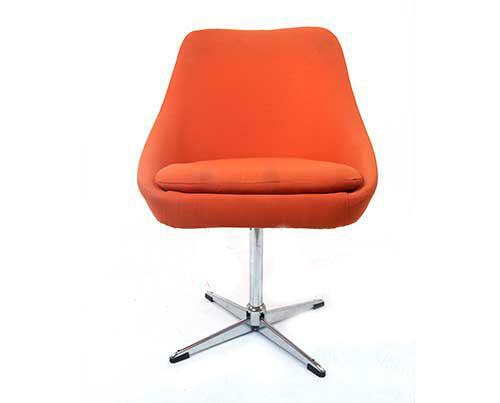 Even if you know nothing else about Mad Men, you know that the show nailed the aesthetic of the ‘50s and ‘60s with impeccable styling. From costuming to sets and props, the world inhabited by Don, Joan, Peggy and the gang was a retro dreamscape that seemed both otherworldly and familiar. 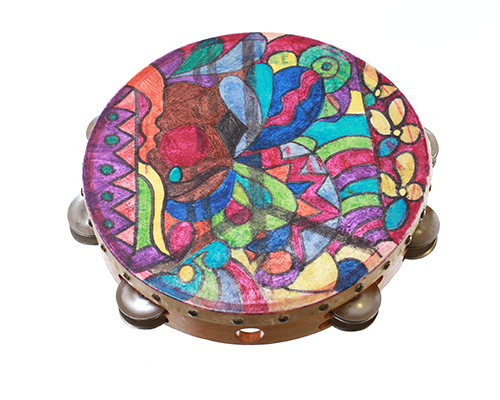 Now, you can own a piece of that magic. Auction sale site ScreenBid has 1,400 items from the set that will go up for sale today at 12 p.m., Pacific Standard Time. Everything is already listed, so there’s time to scope out the goods before you draft an expense budget. 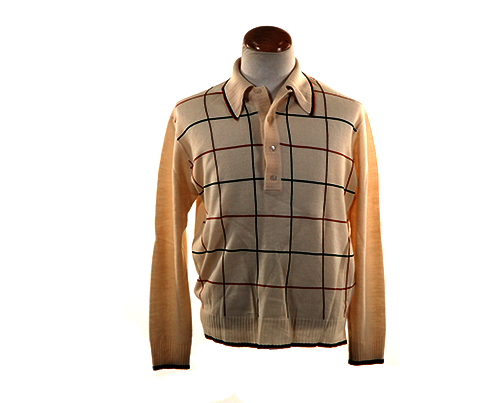 A few fashions on the lower end start at $50—like a vintage clock radio that lived at Sterling Cooper, sets of vintage playing cards, and Sally Draper’s plaid bag. 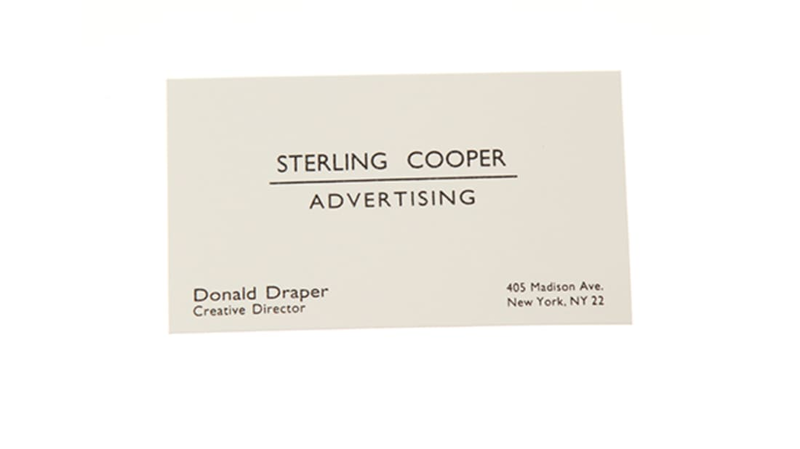 If money is no object in your quest to embody the spirit of Don Draper, the highest ticket items are a 1965 Cadillac Coupe DeVille, business cards from Sterling Cooper Draper Pryce, and Draper’s vintage black tuxedo, worn in season five. Personally, Peggy is more my spirit animal, and this Seagram’s bottle seems like a fitting way to pay tribute while investing in a piece of aspirational home furnishing. 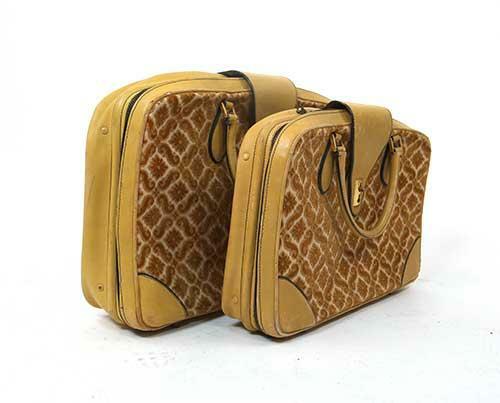 All items can be viewed at ScreenBid, but here are a few drool-worthy items of note. 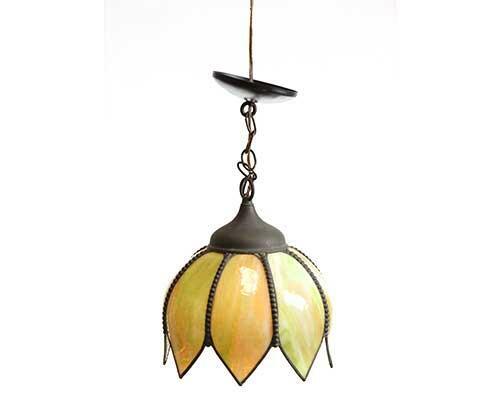 Megan's Living Room Hanging Lamp. 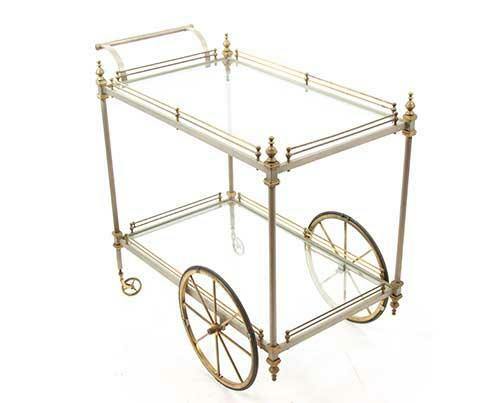 Joan's Apartment Glass Bar Cart. 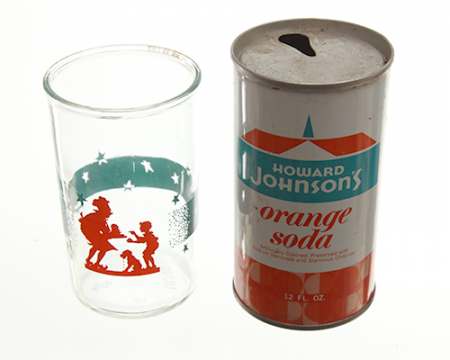 Howard Johnson's Motor Lodge Retro Juice Glass & Soda Can. 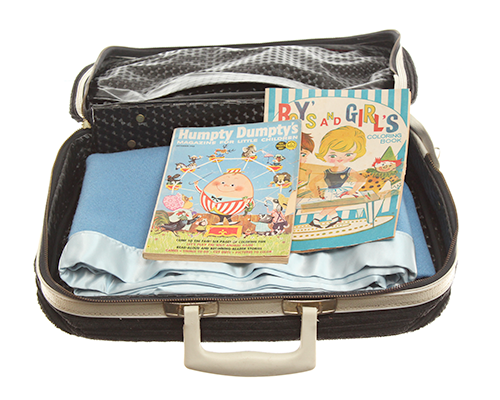 Baby Gene Draper's Suitcase, Blanket, Coloring Book & Magazine. 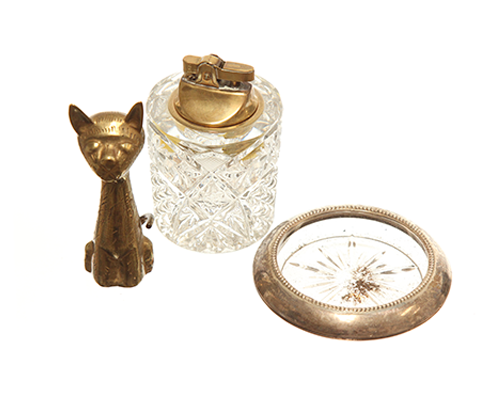 Dawn's Desk Crystal Lighter, Brass Cat and Ashtray.